Luckily, this Spring’s flooding didn’t affect us too badly. We had much higher water levels but minimal flooding at the shoreline. Even better news is the fish, who must love the extra water, are on fire! 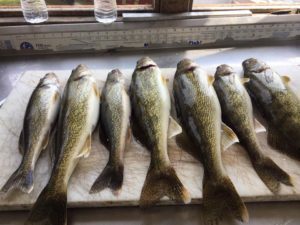 They are biting early this year and are just the perfect size for eating. 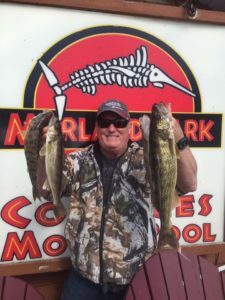 Guests at Merland Park have had some great success reeling in walleye between 1.5 – 3 lbs. 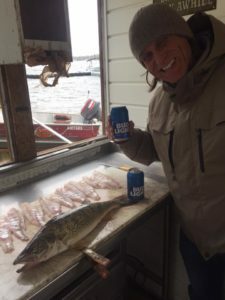 Our guest, Steven, is happy with his catch!